Cycling mourns 23-year-old Michael Goolaerts - Integration Through Media ....! 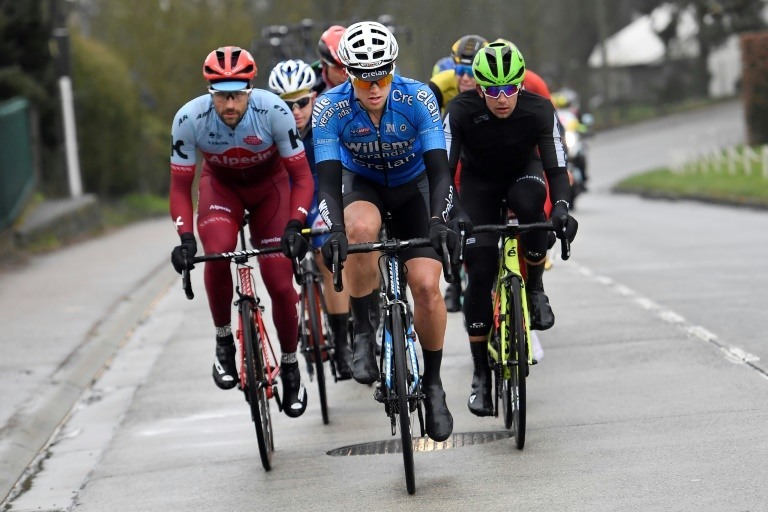 PARIS, (AFP): The world of cycling on Monday mourned Belgian cyclist Michael Goolaerts after he died of heart failure at the age of 23 during the gruelling Paris-Roubaix one-day classic race in France. Doctors were unable to revive him at the scene and he was flown to hospital in the northern city of Lille where he died of “cardiac arrest” surrounded by his family, his Veranda’s Willems team said. A post-mortem will take place in the next few days to determine the precise cause of death. “According to preliminary reports it was an illness, no doubt the heart which caused the fall, it’s not the fall that caused his condition,” the prosecutor’s office in Cambrai, which is investigating the tragedy, told AFP. Police have asked Veranda’s Willems to make available the fallen rider’s bike and helmet to investigators. Goolaerts came to grief at around the 100-kilometre mark of the 257-kilometre race. “It is with unimaginable sadness that we have to communicate the passing of our rider and friend Michael Goolaerts,” his team said on Twitter. His loss was felt especially keenly in Belgium, where the Flemish VRT broadcaster said cycling was “in mourning”. The organisers of the Tour de France, who are also in charge of the Paris-Roubaix, said race doctors had managed to reach Goolaerts within “two to three minutes”. “They tried to bring him back to life. In this type of race they administer the first treatment and then they call the local emergency services,” race organiser Pierre-Yves Thouault told AFP. Tour de France race director Christian Prudhomme said Goolaerts’ team had been delighted to receive an invitation to Sunday’s race. Paris-Roubaix is known as the “Hell of the North” because a large section of the course is made up of uneven cobbles and the riders have to contend with thick mud in some parts. Goolaerts became a professional rider in 2014 aged just 20, and had taken part in 20 days of racing in 2018, including starting the Tour of Flanders earlier this month, although he did not finish that race. He was yet to win any major honours in the sport. His death echoed that of another young Belgian rider, 22-year-old Daan Myngheer, who died in hospital two days after suffering a heart attack on the Criterium International race in Corsica in 2016. In 2011, Belgium’s Wouter Weylandt was killed in a crash during the third stage of the Giro d’Italia.